How can you not love Ellen? She is a great communicator and extraordinary human being; she recently slammed popular fashion retailer Abercrombie & Fitch for stopping selling bigger sizes (as they only want “cool, good-looking people”) and that’s why we love her. I just learnt about it. It was tweeted and blogged on The Huffington Post yesterday. It’s a selection of funny tips for women and for men speaking to/interacting with women and female authors; it’s also dated back 1854 or something like that. I am trying to source it on eBay or amazon so if you do find it before please do let me know. In the meantime, just have a look at a quick sneak peek below. *But who’s Miss Leslie? Could she be Miss Squiggles’ new friend? That’s something I am going to find out soon. 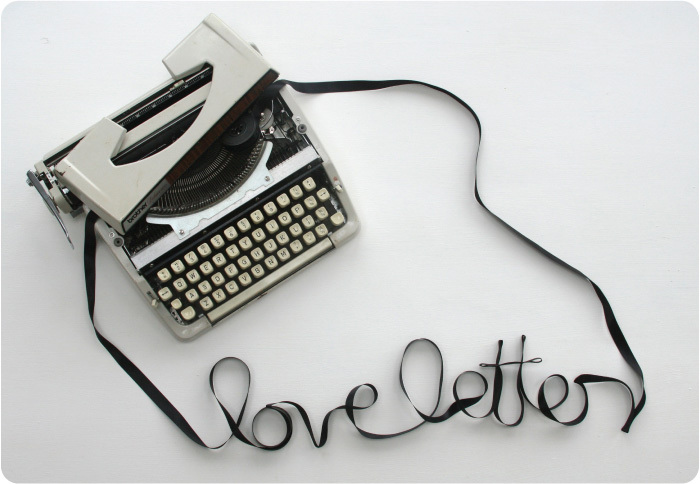 Working as a writer, I have sometimes been asked to give some writing consultation on love letters. This has been the most beautiful and romantic thing I have ever done. I listen to people’s love stories and write to their loved ones on their behalf…it doesn’t happen often but when it does, it’s such a treat.